In the past, saving for college usually meant one thing: starting a savings account and adding to it throughout the first 18 years of the student’s life. However, only a shrinking number of people are saving for college, and even fewer are taking advantage of special bank accounts designed for higher ed savings. Just as technological advances have changed the way people interact and shop, they’re changing college savings too. There are a number of new apps, programs, and modern opportunities that students and parents can turn to to make saving for college simpler and more achievable. For decades, families have simply saved money in a bank account to pay for college. While some people use a standard savings account, the government created a specific account type for college savings called the 529 plan. Like a 401k or other special banking instruments, the 529 plan carries tax benefits that encourage saving for college. Plan types can vary by state and are typically backed by the state government. There are two types of plans: the prepaid tuition plan and the college savings plan. There are numerous restrictions, but these also vary by state. 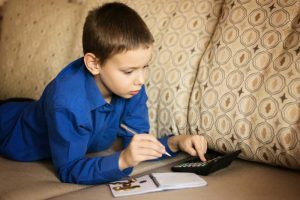 Although this instrument presents a great opportunity to many families, these types of savings accounts are underused and may be difficult for low-income families to take advantage of. 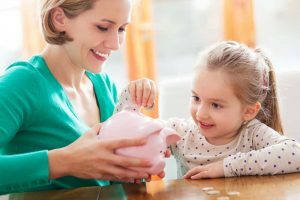 According to a 2012 U.S. Government Accountability Office study fewer than 3% of American families used a 529 plan or the similar Coverdell Education Savings Account to save for college. The families that did were typically wealthier, with an average annual income three times the median, or roughly $140,000. 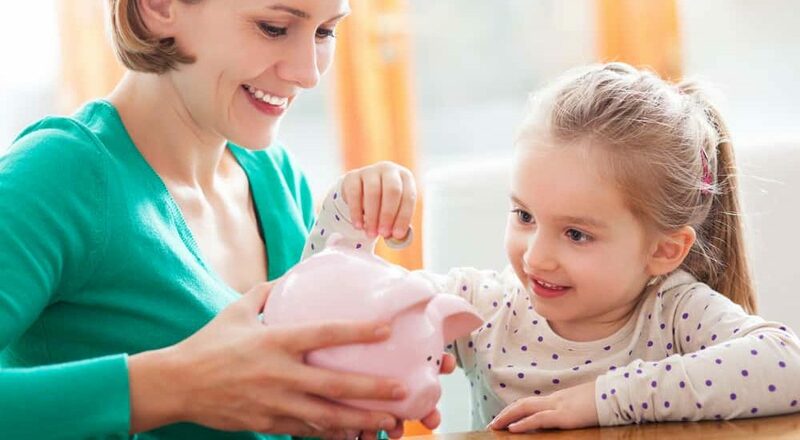 The rigors and restrictions of the 529 plan may present problems to lower income families who want to save, and the practical realities of banking can present further problems for some families based on location or geography. Luckily, with the variety of technology available to anyone with a smartphone or internet connection, there are plenty of new options that can help students and parents save for college. Check out just a few of the options that families can take advantage of today to be in the best position to save for college. There are dozens of apps that can help students and parents save for a special target. The app can help users budget efficiently for a day, a month, or more than a year. It’s a great way to make sure you’re putting away money at a pace to reach your goal and helps you cut back spending in areas where you don’t want to spend. Some apps send reminders and help you put away even just a few cents each day until you’re closer to your target. Apps like Level, Daily Budget, Unsplurge, and Digit are just a few of the apps that can help you save. Crowdfunding sites like Kickstarter and Indiegogo allow people to pursue their passions and pay for unforeseen expenses in a way that they never have before. Some students have turned to these sites to ask for help covering tuition costs with different levels of success. Many others have used crowdfunding to help cover smaller expenses including books, housing, or summer programs. Crowdfunding typically comes with a good story or a creative plea for why strangers should invest. If a standard savings account or one of the college savings instruments is appealing, but there isn’t a convenient bank that fits your criteria, try online banking. Whether the bank is completely online, such as Ally, or has a physical branch, these banks allow people from diverse geographical backgrounds to save and monitor savings with all the advantages of a Wall Street banker. Investing can be one of the best ways to help you save for college by adding value to the money that you’ve already saved. Apps such as Future Advisor give families the chance to work with financial advisors and put together real wealth management options. These apps allow users to monitor growth, make investment decisions and communicate with experts. These apps and websites give people from all backgrounds access to financial tools that used to be difficult to access. Online cost estimator’s can help families know exactly how much to save. College Board’s cost calculator can help parents prepare years in advance with estimates of inflation and today’s costs. If students aren’t making as much as they hoped working that local summer job, new technology allows for a greater array of job options. Apps such as Uber or Rover allow students to save a little extra for their college tuition. Although grants and scholarships are technically not saving, they can greatly affect the amount a family needs to save. Apps and the internet have drastically increased opportunities for financial assistance for families through grants and scholarships. There are debates about whether students or their parents should cover the costs of college tuition and living. Some studies suggest that students who have to work to pay their way through college have lower GPAs than those who have help from their parents, according to USA Today. Other studies have shown lower attendance among students whose parents foot the bill. However, much of how college is paid for and who pays is determined by ability and need. Many families split the cost between student and parent in a variety of ways. With student debt in America rising for the 18th consecutive year, to a record $1.31 trillion among more than 40 million people, saving for college for both parents and students is more important than ever.